I completed a Music Masters degree in 2002 focused on Real Electronic Virtual instrument design and performance (see also http://www.linseypollak.com/past-projects/rev-real-electronic-virtual/ ). I’m deeply interested in music technology and new music genres across all boundaries. I’m also a producer/developer of educational apps such as the benchmark Harmonica training app HarpNinja. As a Creative Technologist I also work with different technologies across many areas. Update 2018-01-09: Selected by Microsoft for the Windows Mixed Reality Developer Program . Since 2005 I’ve performed online in virtual worlds like SecondLife playing solo (with and without my robot backing band) and also real time music jamming with multiple musicians located in different countries. You can check out my live online music performance website @ http://komuso.info/ and you also read more about it in the Streaming Live Music project. Here’s a video demonstrating live networked music performance between myself in Tokyo and fellow SL musician Hathead Rickenbacker in Toronto, Canada. Generative music systems are an interesting area that I’ve done a lot of research and experimentation in as well. Moozk was an experimental audio visual app I developed for public use using a wacom pen tablet to drive a painting application that also produced generative music as you drew. Kids seemed to love it. Blue Noise was an experimental audio visual performance using an eBow, slide guitar, digital effects and a PC running audio responsive custom designed graphics. 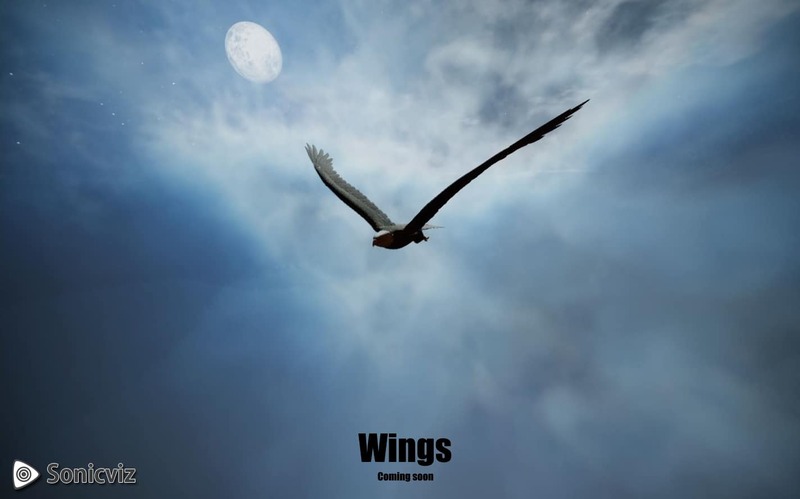 Wings is a Therapeutic VR prototype with interactive music and procedural visuals/camera. The environment (time of day, speed, cloud cover etc) + adaptive music score (high quality emotive orchestral cinematic) is driven by AI or responsive to bio/neuro feedback. I did a talk about the development approach at VR Hub Tokyo Year-End Meetup Vol.4 | Health & Fitness with VR and AR titled “Design Framework for a Therapeutic VR app”. 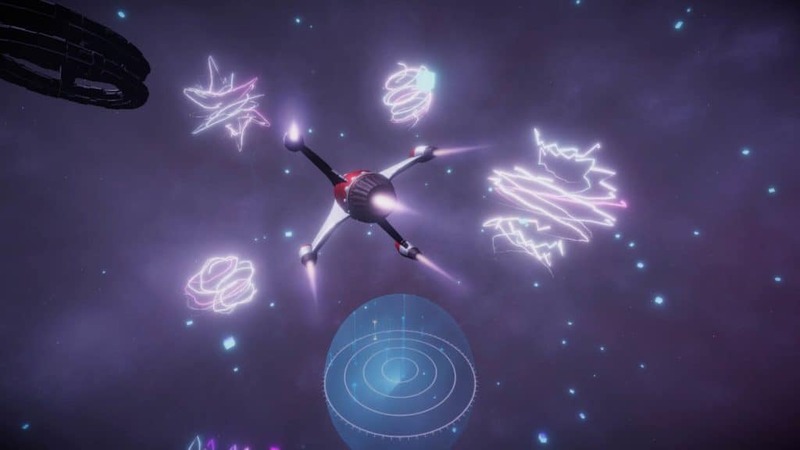 Groove Pilot is a unique immersive and interactive spatial music experience for both desktop and VR. Update 2018-04-12: Music composing course finished, charity album of stereo mixes released. Have a listen here! Update 2018-03-05: New visual theme and music collaboration with Australian Institute of Music Game Composer course. Collect all 14 sound orbs to complete the level. Collect each sound orb before you run out of fuel. As you collect each sound orb it enables another layer of the downtempo chill music track to play. Each layer of music is located in 3D space so is mixed relative to all the others as you move around, dynamically changing the music mix and experience on the fly. In a sense it’s a generative music piece controlled by the players movement through 3D space. Each sound orb/music track/stem is also visualized procedurally in different ways with real time signal processing to drive reactive graphics. Note: Sound visualization currently only works on desktop version, working on a fix for the WebGL browser version. Best used with an XBox360 type controller to fly. Try it out: https://groovepilot.netlify.com Note: This is WebGL and best used in Chrome/Firefox with minimal tabs open. Built in Unity 3D. Desktop only as Unity WebGL is currently not supported on mobiles. Orbon is a collaborative game development learning project with my 6 yr old son Oscar. Orbon ™ is an endless play experience designed to test your thinking and reactions, that requires focused concentration and timing. It’s currently in open alpha testing phase on Google Play, coming soon to iOS. Process: It started out as a small project I put together to test some Affective AI plugins I was evaluating for client projects. Affective AI is software that responds to the users emotional state through different sensors and emotive state pattern detection. The goal was to develop something fun but quickly with high quality art, music, and sound. We developed the core mechanic first (the toy) then built some gameplay around it with a little story backdrop. Art style I was originally looking to do something quite abstract but we took a U-turn into the current style instead. I spent a bit of time choosing the music and sound FX as this is a key part of the experience as well. I heavily leveraged the Unity Asset store for some key subsystems and art, most of which I already had. It was very much an iterative process to explore what might work, then implement and test. Total project length was ~4 weeks. It’s quite a complex little game under the hood. I surfaced a few gnarly bugs in some of the 3rd party subsystems I used, so that involved some back and forth with the devs. Fortunately I chose packages wisely and these were all great devs who support their products really well. I decided to release it into the wild for some early alpha testing to tune the gameplay, difficulty progression, and pacing with some more inputs from a wider audience. Feel free to have a play and let us know your thoughts!